This was a fairly innocuous statement. Didn’t really say much other than I thought the claims to be untrue. I wasn’t calling Billy Meier a liar, I wasn’t saying the case was a hoax, only that I didn’t believe it, which I had thought was my right. I was immediately attacked. It was claimed that I had “defamed” Billy Meier, and that I should offer proof that Meier hadn’t been in communication with alien beings. I should either put up some evidence or retract the statement. I did explain that I was familiar with the case and that the evidence offered to support it was weak at best… well, not in those words. I mentioned that I had read a couple of the books about Meier, but was attacked for being out of touch. I did think that it wasn’t really my responsibility to prove Meier hadn’t met with aliens and traveled around the galaxy, but theirs to prove he had. So, now I would like to retract that initial and rather benign statement. 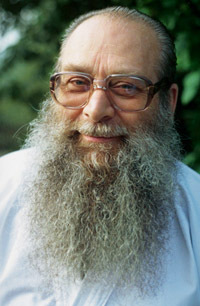 I have spent the last several weeks looking at all sorts of material about Billy Meier. I read his predictions, seen many of his photographs, looked at the analyses of the metal he said came from his space traveling pals. I looked at the “pro” sites and those that were “con.” I followed up on the predictions, and tried to learn more about the photographs. I have looked at both sides of the coin, listened to the promoters and detractors and realized that my statement was simply my belief based on what I had found in earlier research. It had been written as a polite and somewhat cordial way of letting the readers know that I didn’t believe the story which was not the same thing as saying it was a hoax. Today, I’ll say this. The Billy Meier contact case is a hoax. The evidence offered in support is weak, often inaccurate, and those believing Meier will not listen to anything that suggests Meier has not flown around the galaxy in alien spacecraft. Dozens of his pictures have been proven to be fake, but that’s because the Men in Black substituted faked ones for the real ones, we’re told. Meier’s predictions that had seemed to be so accurate were not made before anyone on Earth was aware of the situations mentioned as claimed. When it was pointed out that the trouble with the ozone layer was known and published in a variety of sources before Meier said a word about it, the answer was he couldn’t have seen those sources. The supporters move the goalposts so that any evidence presented is never enough. I say again, this case is a hoax. Meier has not traveled around the galaxy. He has faked pictures. His predictions are found to be wrong or based on information that is already in the public arena. Here’s the irony. Had the supporters just ignored the statement of my opinion rather than attacking me personally, not many who visit here would have paid much attention to it. Now, however, I have published a number of articles showing that Meier was wrong, Meier faked photographs, and that he has offered no independent corroboration of his contact claims. Even his ex-wife has said it was all a hoax. Believe him if you will, but don’t demand that I believe him with such shoddy evidence, faked photographs, and an analysis of metal that came from a man who was deep into the New Age (BTW, telling us of his expertise and credentials, which are quite impressive, is known as “appeal to authority” which isn’t evidence). No, I don’t believe Meier and believe that he had engaged in a decades long hoax that too many have accepted as real. But in case you have somehow missed it. I retract that original statement as too benign and too cordial. It should have been much stronger. It should have been much more negative. Meier is not in contact with aliens. There is no independent evidence to support it. He has invented his tale and fooled thousands of people. It is all untrue. Those are the facts. Get over it. If we aren't allowed to disagree then UFOs are completely real and they are all plejeidians. Case closed mystery solved no need for any investigation. Kinda boring huh? How is anyone supposed to PROVE that Meier, Adamski or anyone else did NOT meet aliens or make a tour of the galaxy? Is there any way we, the public, can ever prove this? We can prove that you cannot trisect an angle or square the circle, but these are well defined concepts that come into the yes or no category. But touring the solar system or galaxy? In the end there seems to be no way to finally disprove such a claim. All we can do is demand that the claimant proves it to us and to the satisfaction of science in general. So we reluctantly have to conclude that whatever we think of Meier, there is a very small (infinitesmally small) chance that he DID tour the galaxy. Yes he has provided phony evidence, but it still does not kill his story off entirely. What Meier should do now is to provide some genuine inter-galactic dust to prove his claims! I subscribe to certain aspects of the Ancient Astronaut Theory and that we are still being monitored, and I -still- don't believe Meiers story. Meier may actually believe his story. If so, then he is like billions of people who believe in a God who is omniscient, omnipotent, and omnipresent. And vengeful. Damn right its a hoax. Its embarrassing, to say the least. It is not our responsibility to disprove Meiers claims, it is his responsibility to -prove- them. So far, he hasn't done that. His alien 'friends' certainly haven't helped, have they? Even a tiny bit of Unobtainium from a warp drive? The same problem Bob Lazar had. That's why smart hucksters stay strictly within the paranormal and avoid presenting or even mentioning physical evidence entirely. This approach avoids the pitfalls of, for example, religionists who rely on 'holy books'. Nothing is impossible, but some things are -highly unlikely-. Meier has used fake evidence. Why? Who does this sort of thing? I'll leave those questions to the psychologists. You had me worried for a moment there with the post title. Glad you've come down so strongly against Meier and his absurd claims once and for all. Kudos! Albert... "The same problem Bob Lazar had." A bit harsh roping Lazar together with Billy Meier, me thinks. Kudos to you Kevin. Lots of us who have long been interested in--and investigated--the UFO phenomenon believe the Meier case was a hoax and see hoaxes as the major stumbling block the field of ufology has "mired" in for decades. You do not need to prove any travels throughout space in order to think in an algorithmic sense and weigh up the actual evidence in order to prove that contacts have taken place here. To use Kal Korff, the self admitted fraud and lunatic who gave death threats to Horn shows the weak thinking and moral poverty in action here, that will only realise the Truth in the Meier case when the prophecies are coming true as they already are. The Korff data was confirmed by other sources and it only seemed fair to show that this original research be acknowledged. If not for that confirmation, then it could easily be rejected. And which prophecies are these that are coming true? The moons of Jupiter? The number of planets beyond Pluto? And which prophecies were made prior to similar predictions made by scientists on Earth? The ozone layer trouble? And now that you've reached your conclusion, can we please move on from Meier and leave him behind forever? Well, I saw the pictures many years ago and I have to say, yes it was a hoax, but a very pretty hoax, at least the still photos. And I believe he is more than a hoaxer. I believe him to be an artist, albeit flawed. I predict that tomorrow will be Friday the 1st of September because I made contact with an alien race that looks exactly like us except beautiful. I only have hand made drawings of them and the pictures I have were taken only when I was alone with the aliens who never appeared to anyone but me. Also, the aliens told me that love is the answer and we are destroying our planet. They also told me that I can publish this information and realize a profit (no pun intended!) on it. So Paul, as per my prediction, on Saturday, me and Billy (get it Bill and Billy!) will have the exact same evidence, when can I expect your endorsement of my contact case? "...A bit harsh roping Lazar together with Billy Meier, me thinks. ..."
Perhaps, but Lazar presented a specific, provable 'fact'. That's my point; stay with generalities, avoid things that can be disproven. It's Hucksterism 101. We now know that element 115 is not stable: (https://en.wikipedia.org/wiki/Moscovium), and that Lazar may have worked for Los Alamos Labs in some capacity (which proves nothing), that his CV is not what he claims (he's not a nuclear physicist)... so what more do we need? Do stable super-heavy elements exist(or can be created)? Many actual physicists believe so. Might they have anti-gravity properties? Possibly, but I'm not buying Lazars story. If you are suggesting that there are different degrees of hucksterism, then I wholeheartedly disagree. They -all- belong in /dev/null. In a culture awash with lies, why add more to the mix? At least Meier kept all his travels to 3 dimensional space, or so I believe. There are others who claim to have travelled in 4 dimensions, or even 5 or more, aren't there? Sorry Albert, but I'm having a real hard time wondering how you mix together some chap who claims that he went on an alien funded trip to Andromeda (not the moon...not another star...but another bleeding galaxy)...with a chap that claims he worked at a secret Air Force Base in Nevada. I didn't 'mix them together' or make a 'comparison'. I used Lazar as an example of my point" "...stay with generalities, avoid things that can be disproven..."
It's clearly stated in my comment. If Lazar were only "a chap that claims he worked at a secret Air Force Base in Nevada. ", then none of us would have heard of him. No, he went way beyond that, and achieved his notoriety. He's a huckster and a liar, just like Meier. Feel free to disagree. MUFON 2017 will be seen as the year MUFON died. Sad. I for one got completely what you said, as I would expect most would have, except apparently not PY . . .
Albert..."A huckster and a liar, just like Meier" ??? It's a rather odd kind of huckster that, seemingly, doesn't try too hard to cash in on their "con". Most certainly Meier has made a few bob out of it. Certainly you could be forgiven for putting Ray Santilli and Jaime Maussan in the con artist bracket. His rather brilliant story, be it real or fictional, of the goings on at Area 51, and "S4" in particular, is what the whole folklore of that particular place is based on. If he's a liar then the tabloid myth of S4 is his creation, yet to my knowledge he hasn't tried to cash in on it. An interview here and there and maybe an appearance in the occasional documentary, but that's about it. But I don't recall him trying to publish any books about his experience at S4...or try to get a movie made about it. Many others have (including another person who I totally believe is telling the truth about his strange experience,Travis Walton) Strewth, if Lazar had patented the S4 folklore he'd be as rich as the guys behind the Star Wars franchise. He'd make a fortune just by writing a screenplay on how he "fooled the world". But nope. Still no attempt to "cash in"
Kevin, you might as well retract your claims of being a UFO researcher. Any amateur who has looked at more than a few of Meier's photographs would learn that Calliope Meier signed several statements witnessing not only the E.T. craft in the air, but an actual in the flesh E.T., Ptaah, as he entered her living room as she walked in from the other side. How can you conveniently brush off her written and signed testimonies along with over 124 other witnesses, their testimonies, their first hand accounts and physical evidence and their own photographs? You ignore the 1000+ other pieces of evidence that were not falsified, and you call yourself a researcher? Just because they got divorced and she made defamatory claims, you throw out thousands of pieces of physical verifiable evidence? Do you actually think people who get divorced always say nice things about each other? She had a difficult life, not being able to speak German for a long time, and then being ridiculed by her neighbors, and then not being able to deal with people from all over the world coming into her house all the time. You and the armchair researchers that the co-founder of the International UFO Congress lamented about don't know that she almost killed her husband? Not a credible way to make a conclusion. You always fail to mention the other side of the story. The reason why so called UFO researchers tried to torpedo the Meier story is because they wanted exclusive rights all to themselves, to write their books and give their talks. All of your excuses are so lame, just like all the others who can't wrap their head around the facts. What positive contributions have you made to the world, in all of your years of research? How have you made the world a better place? We don't need your books to learn about Roswell and other crashes when something much much more important is taking place right now. MUFOFF. Wonder why the Meier supporters must always get insulting rather than making a logical, intelligent argument... but never mind. There are dozens of Meier photographs, photographs originally attributed to him that have been proven to be fakes. That would seem to suggest there was something else happening... oh, yes, I forgot. The Men in Black switched out the photographs to discredit Meier. I'm not sure the rationale for blaming a mythical group for this deception is a viable strategy. Let's see, you use Calliope's signed statements to prove that she had actually seen these aliens in the flesh and then say that we can't trust her statements that the contacts are a hoax because they divorced and we all know that divorced couples often lie about one another. Let's see.. I believed I did mention that the metal submitted as evidence of alien contact had been found to be something not consistent with manufacture on Earth. Those conclusions made by a chemist with an impressive resume... but then also mentioned that other tests conducted by a metallurgist found the metal to be rather mundane. Two sides of the story that can't be resolved because the metal has now disappeared. The problem is that the evidence for the contacts is not overwhelming... it is littered with bad predictions, faked photographs and metal that can't be conclusively proven to be of alien manufacture. But hey, if you want to believe, more power to you. I just require some better evidence before I climb on the bandwagon... which is, I believe, my right. So, when you find some independent corroboration and a few facts that can by independently verified, I think I'll just remain in the skeptical camp. Yes, you should remain skeptical, and will probably remain skeptical for several years. But again in your statement you expose your lack of knowledge about the case. It would take the average person about three to six months of reading every day (or night) to get a foothold in the door of the evidence. By that I mean reading all of the contact reports (for free online at futureofmankind.co dot uk), as well as first hand eye witness accounts, (such as the free online version of Light Years, by Gary Kinder). Six months to a few years to eventually come to a realization. You said, "There are dozens of Meier photographs, photographs originally attributed to him that have been proven to be fakes." Not dozens, but hundreds of pieces of visual evidence were falsified, and perhaps not by the men in black from Sirius, but intelligence agencies and personnel who all listen in on and get information from Billy, for good reason. Even Lt. Col. Wendelle Stevens recalls his account of the CIA asking him to spy on Billy when they pulled him aside in London. It's a great story. So all of your readers should know that it took me six months to several years of daily research to wrap my head around the evidence, and I am four years in. Other people are ten or twenty years in. But there is so much more than the photos and videos and witnesses that you are missing the point entirely. The mission, the purpose, the treasure, is the information and the teachings in his books and writings that will change and is changing the world. The independent corroboration and facts that can be independently verified are in his books and contact reports, of which there are now at least 688 reports and a half dozen books that have been translated into English, including the Psyche, The Way to Live, Goblet of the Truth, Might of The Thoughts, Talmud Jmmanuel, and Dodecalogue. And I have read all of those. And no one has ever disputed Billy after reading those books. No one should pass this opportunity by. Be skeptical. But persevere. In past posts I have quoted the 230 number, but you make the point for me. Hundreds are faked but it was the Men in Black or intelligence agencies and your evidence is that Wendelle Stevens said that the CIA asked him to spy on Meier... but fail to mention that Stevens is a felon which, I would think, would give you pause... but as we all know, Stevens was set up as a way to discredit him. Let's not forget that part of the evidence for reason of the faked photographs comes from a being who is not of this Earth and someone we cannot interview. How many of the witnesses have you interviewed? You ignore the team of researchers that were with Wendelle Stevens? Lee and Brit Elders, Tom Welsh. They were world renowned investigators. They never found evidence of hoaxing. Wendelle Stevens researched 100 UFO cases before the Meier case. Are you saying he wasn't qualified or didn't conduct a laborious investigation? Are you ignoring the 125 eye witnesses and their statements? They are all lying? And all 17 who were asked to passed lie detector examinations? You ignore the fact that photographs were examined by JPL and top imaging studios and no falsifications were found? You ignore the examination of films by Nippon TV? You ignore the 7 film strips? The 74 page WCUFO report by Rhal Zahi? The four witnesses that accidentally saw the E.T. humans on different occasions? You would believe the man who witnessed Andron, but neither are here today. You then assume the witness Phobol Chang, a retired U.N. diplomat is also lying? You ignore the other 4 photographers who photographed the beamships? You completely ignore the sound recordings and metal samples analyzed at IBM by a top world expert Marcel Vogel? How many patents do you hold? Are you mad that Meier exposes the atrocities of the U.S. Government in his contact reports because you were in the military? Are you confounded that Meier foretold the two Iraq wars in the contact reports? Are you forgetting that 80 photographs were taken in India in 1964 and these photos were viewed by and reported on by a prestigious newspaper? The newspaper is public record as were the witnesses in India. Are the 11 photos that we still have from India too hard to explain for you? You want us to believe that this man with 1 arm and no financial resources faked all of this, even though no one has ever seen him faking the films or photographs? You ignore Gary Kinder's research book Light Years, and his interviews of many eye witnesses to the contacts and other events? But you believe Mahesh Karamudi, some Indian guy who has never been to Switzerland or met Meier or any of the witnesses? Are you perhaps disturbed by his exposing of religions around the world, maybe your personal religion? Maybe he says your god doesn't exist, or that the Bible is made up stories based on lies and mistranslations? You don't think he ever found the resin encrusted scroll written by Judas Ischkerioth? Maybe you are mad that the Gulf of Tonkin attack was a complete hoax? Or perhaps the phony moon landing of July 20th, 1969 if you are so good at finding hoaxes? You certainly don't know that there is an 8000 year old piece of paper from Egypt in some English nobleman's collection was photographed by Jim Crowley and names the 7 prophets including Billy? You give no regard to an OSI case supervisor, a retired NASA aerospace engineer, former director of operations at Orbital Launch Systems Group who all endorse Meier's case and authentic evidence. No, certainly you must know better than all of the more than 100 eye witnesses, and dozens of investigators including the U.N. diplomat and rocket scientists. Instead you believe armchair investigators' attacks and anyone who has a grudge against Billy. You possibly think that he survived 23 documented assassination attempts with witnesses present because he's just a normal Swiss farmer with one arm and an amazing ability to hoax hundreds of photos and several movie films that no one has ever caught him in the act of hoaxing? And finally, you have no way to disprove the 200 corroborated events that were published in writing before they were known to the public, usually years or decades later. And you have no idea what is coming in the future, to the country you so dearly love. By the way, did you ever find WMDs over there, or was that a hoax too? Dougall, you ignore all the fraud. There's a lot of it. You ignore how Phil Langdon has reproduced -- using garbage bin lids and suchlike mundane materials -- a great many Meier "alien ship" images and films. You ignore that all your alleged witnesses and supposed evidences have added up to nothing. No aliens, no ships, no proof. Nothing but arguments. This is bceoming pointless. I know because you have begun the arguments that a one-armed man without financial resources couldn't have faked all this. I know about Marcel Vogel and his analysis and addressed it as some point. While he was certainly a bright, inventive, respected man, citing him is a just an appeal to authority. Yes, he said the metal was not of terrestrial origin, but he was ca chemist and not a metallurgist. When metallurgists came into the picture their analysis disagreed, suggesting a terrestrial origin, but more importantly, the sample has disappeared so that further testing can't be done. You admitted that 230 photographs were faked and although attributed originally to Billy Meier, once they were exposed (pun intended) we are told that Meier didn't taken them. We're just supposed to believe all the others are "real." In one analysis I saw, the examiner said that he found no evidence of a hoax on the photographs he saw, but also said they were second generation prints and to do a proper analysis he needed the negatives. Although completely irrelevant to this discussion, I will say that the Gulf of Tonkin was not a hoax... oh, we have radar operators who misread their scopes and two destroyers attacking phantom targets, but a hoax implies they created the situation when they were reacting to what they believed to be a hostile threat. They were completely wrong in that and everyone knows it. There was no attack at all. And while the media didn't report it, we did find WMD in Iraq. They were badly degraded, having been buried to hide them and might not have worked, but we did find them. We found no new facilities to produce them, but we do know that Hussein had deployed them against his own people. You really want to say that the moon landings didn't take place? Are you going to reject the evidence that it did happen? You really want to quote Wendelle Stevens, a felon who spent six years in prison as a credible source? How do you know that others have met with alien beings? How do you know they were aliens? Did they say that? Was DNA tested? Were medical examines preformed to prove they were not from Earth or did you just take their word for it? BTW, I have a copy of Kinder's book in my library... So, I haven't ignored it. But the real problem is that you offer no PROOF that the Meier contacts are real. We have shown that many of his predictions are not true and that the information that supposed came to him from his space pals had been circulating on Earth for months and sometimes years before he grabbed onto it. The point is that I have seen nothing that is persuasive here. Just a lot of words that lead nowhere and tell us nothing that we didn't already know. That was not the incident to which I referred. If you know of a report of finding active WMDs, I would like to read it (shoot me an email and a link). I said, "They were badly degraded, having been buried to hide them and might not have worked, but we did find them. We found no new facilities to produce them, but we do know that Hussein had deployed them against his own people." I said nothing about active, said they were degraded, and am working with information that was provided to me while serving in Iraq. We did get a warning about a toxic cloud, or the possibility of a toxic cloud that might have been released from a factory northwest of Baghdad... The NBR NCO and I plotted the path of the cloud, but it wasn't drifting in our direction, if there had been a release. That toxic cloud was a by product of the manufacture of fertilizer, if I remember correctly. My point was that WMD had been found, they were badly degraded, and if I remember the reports I saw correctly, some of them had been developed after 1991 but I think they were all older than a decade. But, I say again, I said nothing about active WMD and that those found were badly degraded... so can we now get back to the point of the post, which suggested that the Meier contact case is a hoax and that many of his predictions were inaccurate? Jack the Ripper - Identified?